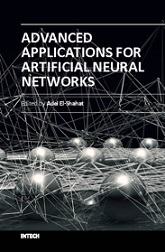 In this book, highly qualified multidisciplinary scientists grasp their recent researches motivated by the importance of Artificial Neural Networks (ANN). It addresses advanced applications and innovative case studies for the next-generation optical networks based on modulation recognition using artificial neural networks, hardware ANN for gait generation of multi-legged robots, production of high-resolution soil property ANN maps, ANN and dynamic factor models to combine forecasts, ANN parameter recognition of engineering constants in Civil Engineering, ANN electricity consumption and generation forecasting, ANN for advanced process control, ANN breast cancer detection, ANN applications in biofuels, ANN modeling for manufacturing process optimization, spectral interference correction using a large-size spectrometer and ANN-based deep learning, solar radiation ANN prediction using NARX model, and ANN data assimilation for an atmospheric general circulation model. Dr. Adel El-Shahat is an Assistant Professor in the Department of Electrical and Computer Engineering at Georgia Southern University (GSU), USA. He is Founder and Director of Innovative Power Electronics and Nano-Grids Research Lab (IPENG) at GSU.